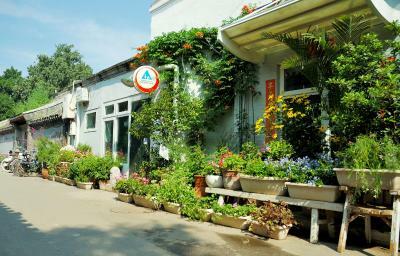 Lock in a great price for Peking Youth Hostel – rated 8.5 by recent guests! Stayed here with a friend for a few days in Beijing - we were very pleasantly surprised. We had one of the rooms with two beds, included a bathroom with a shower and fresh towels delivered each day. The staff were extremely nice helping us figure out the wifi (requires receiving a text to a Chinese telephone number) and accommodating our very early check out time (~4:30 AM). The common space is also beautiful with lots of flowers everywhere and fun things like a guest book. The attacehd breakfast place was similarly lovely, especially for an easy meal after traveling. The location was great too - lots of shops and food along the same road as the hostel. Would stay here again especially for the price! Good English speaking staff. Clean and comfortable room, just wish there was curtain for the bed for more privacy. The bathroom was decent with good heater. Just that there is only 1 sink so sometimes have to wait and queue. Good location if you want to discover Nan Luo Gu Xiang/Shichahai area. The hostel is located right in the main street of the hutong with a very beautiful design and a restaurant/floral shop right in the front part. 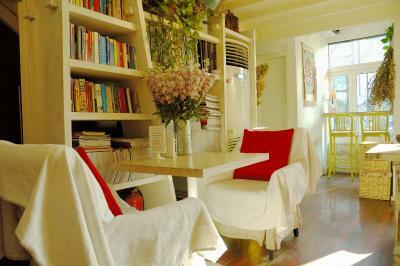 Location was the best; centrally located on a tourist street, near subway, and 2 mile walk to Forbidden City. Room was behind the restaurant that provided free breakfast with kind, helpful staff. The staff were very friendly and helpful, and spoke very good English. They called me a taxi when needed and helped with local SIM card. The location is excellent as it is right in a famous hutong with food and shopping right there, and just a short walk to the subway so it is very easy to get anywhere. They have a tour to the wild part of the great wall which I highly recommend, with no shopping stops! The location of the hostel is perfect, lots of shops, easy to get around. Staff are super nice and accommodating. Thought it was going to noisy but turns out it is very quiet. Shower with good pressure and hot water! Cafe inside hostel, Terrance is nice. So many good places to eat in walking distance. 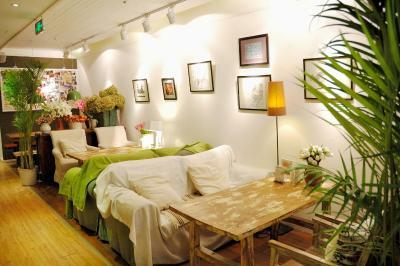 The cozy atmosphere and beautiful decoration and the smell of fresh flower once you enter the hostel. Also, the location is the best. The subway is just 5 mins walk, easy to go anywhere. And it's easily to find local food just around the corner. 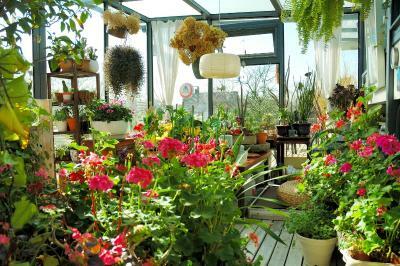 If you are en early bird, you'll be able to discover local life around the hostel. Location is perfect. I liked the roof veranda. The room was clean. While my overall stay was good, it was disappointing to see that a hostel in the capital city of China did not even provide towels/charged extra for towels even though prices were quite high for shared spaces with bund beds. 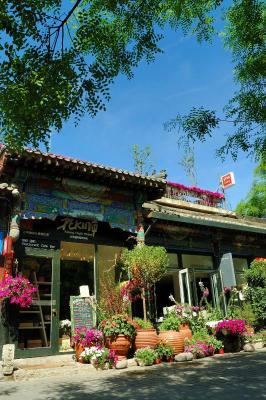 Owned by a talented flower artist, Peking Youth Hostel is housed in a traditional Chinese building located along the lively Nanluogu Xiang, one of the famous Hutongs in downtown Beijing. 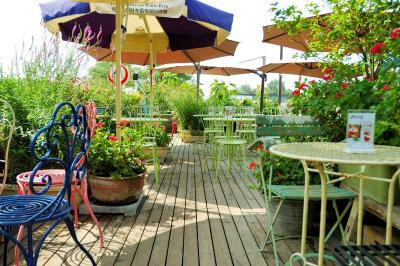 A short 5-minute stroll from Houhai bar area, the hostel features a charming garden and colorful rooms with air conditioning. Free WiFi is available in all areas. 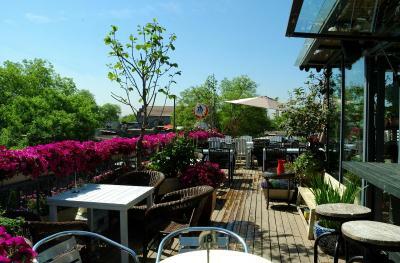 Peking Hostel is a 30-minute walk from The Forbidden City and Tian’anmen Square. Nanluoguxiang Subway Station is 800 feet away. The scenic Beihai Park is an 8-minute drive away. It takes 40 minutes by car from the hotel to Beijing Capital Airport. 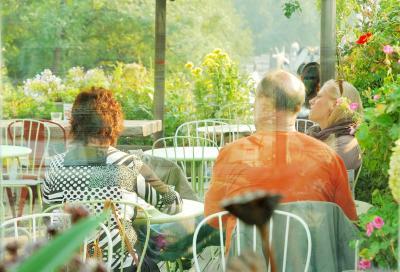 Guests can relax on the sun terrace, organize hiking trips, or spend a quiet reading afternoon in the book bar. Laundry, fax and photocopying services are also available. Tours and shows arrangements can be made upon request with the help of the cheerful staff. Car charters can also be arranged. 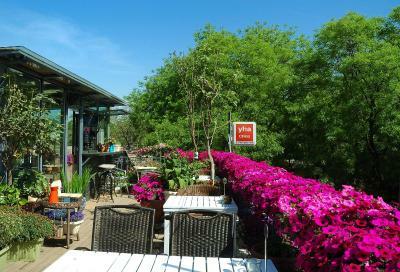 뀐 Located in the real heart of Beijing, this property has an excellent location score of 9.3! 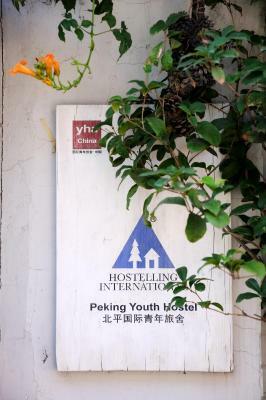 When would you like to stay at Peking Youth Hostel? Offering large windows, this room comes with a dining area, air conditioning and a private bathroom..
Offering street views from large windows, this room comes with a dining area, air conditioning and a private bathroom.. This family room has air conditioning, a work desk, a kettle and a private bathroom. This dormitory features free wifi and air conditioning. This double room has air conditioning, a work desk and a private bathroom. House Rules Peking Youth Hostel takes special requests – add in the next step! Peking Youth Hostel accepts these cards and reserves the right to temporarily hold an amount prior to arrival. Please note that the property requires a credit card pre-authorization before arrival. The property accepts cash only upon check-in. Please inform Peking Youth Hostel of your expected arrival time in advance. You can use the Special Requests box when booking, or contact the property directly using the contact details in your confirmation. One of the people sharing my bedroom smoked inside the room at midnight. It seemed like some of the rules were not enforced or well-explained to customers. The front desk was friendly, efficient, and spoke excellent English. I had a late flight, and they were willing to accommodate a late check-out (with advance notice; you also pay extra). Sometimes you can hear noise from the common space or other rooms, but we were so tuckered out from our traveling and sightseeing it didn't bother us much. The bad was hard and wifi poor. The wifi in the hostel was a little frustrating and kept dropping in and out a little. Rooms were basic but clean and no complaints. 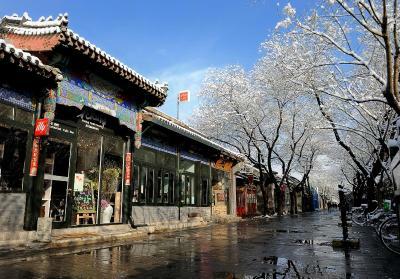 The location is great and as a first stop in China the location in the centre of the Hutongs was brilliant. 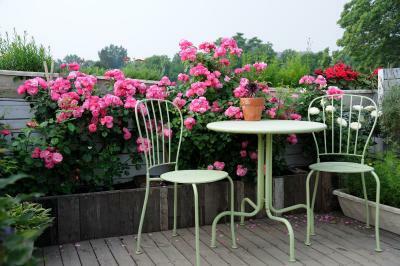 The flowers and general decoration of the place was very peaceful. The food catered well for a western audience, in particular the breakfasts, which were delicious. The rooftop bar was also a very peaceful place to get above the hussle and bussle of the street below. Lovely place. 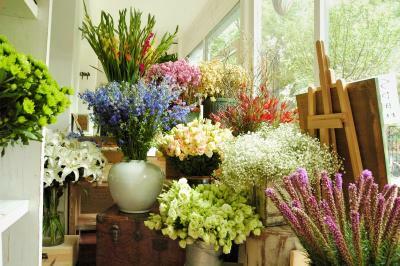 Fresh flowers, lovely and helpful staff. Really clean private bedroom/bathroom. I already know where I'm gonna stay during my next trip to Beijing. I highly recommend this lovely hotel. 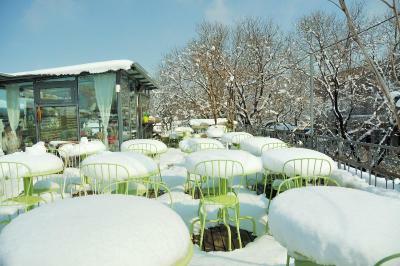 There is a great rooftop terrace, but it was looking a little shabby when we were there. This might only be due to the fact that it was still somewhat chilly (early April), so management may not have spruced it up to the new warmer weather. Peking Youth Hostel is a great little place a bit north of the central area of Tiananmen Square, the Forbidden City and the Beihai and Jingshan Parks. 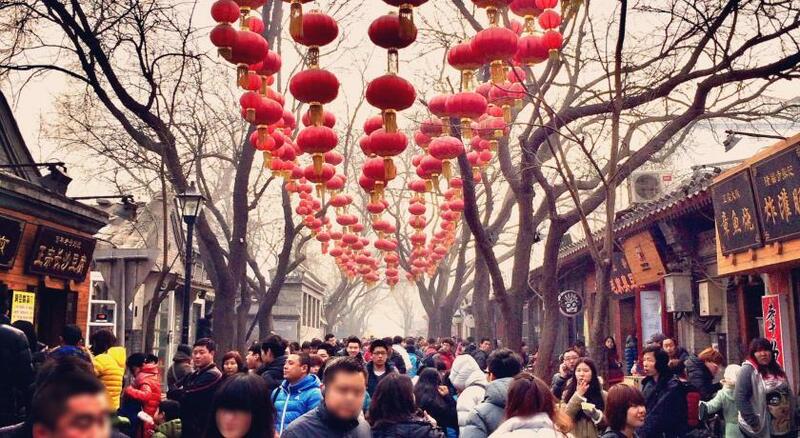 It's located in a renovated hutong area, off South Luogu Hutong, a cool little strip with food outlets and souvenir, clothing and other shops, popular with locals too. 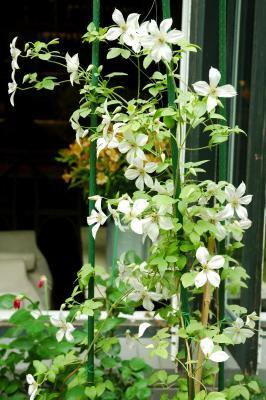 The hostel is also a florist, so there are fresh flowers EVERYWHERE in the lounge area and all throughout the place. The room we stayed in was clean, comfortable and spacious, albeit simple. We would definitely stay here again. The bed was really uncomfortable as the mattress was hard. I also thought it was overpriced considering it doesn't give you any toiletries (this is mentioned in the description). The area is good, it's close to the metro station. 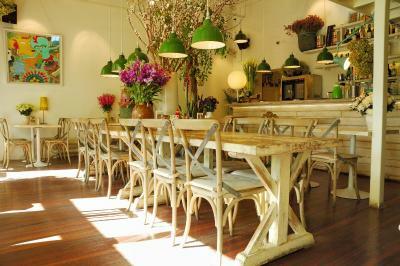 The place was very clean and I had a salad in the cafe which was nice. The staff also kept the luggage safe for me until my flight. Wifi is extremely poor and only available at lobby. It is a standard for accommodation to provide in room WiFi by today’s standard. Shower and shampoo could hav been included. The dorm rooms were really small and old- NOT LIKE IN THE PICTURES! There was barely place to put luggage in rooms There were about 2 toilets and showers for all the rooms, and the whole room was real small and uncomfortable. Oh and wifi is really bad- barely working.. Nothing..... Perhaps à fresh painting but really it is because you want more than à Word. ALL. The situation in the Hutong. The position of the bedrooms : no noise at night and moreover, the staff ! They speak english, They try to help you for any question you have 😊... And you have gorgeous green plants and flowers everywhere. It is a pleasure for eyes ! Perhaps information about tours could be given upfront, as I asked what specific tours were available. Even though the location of the hostel is great, it's worth noting that the area (and much of China) is mainly only catered towards Mandarin-speaking tourists, not foreigners. Most shop signs in the area are only in Mandarin. The wifi didn't worked in my room but I hung out in the lounge when I wanted to use it. My second floor room was constantly noisy because of some machine on the floor below. I think the waiters struggled a bit using English so I mainly communicated in Mandarin with them. The service was a bit slow at times. Peking hostel has a great location as it's on a busy touristy hutong with a subway station only five minutes' walk away. This made travelling to the sites quite convenient. Plus the Forbidden City is walking distance away. My double room matched the photos and the private bathroom was clean. I loved how the hostel was decorated, especially the lounge area. The hostel staff speak great English. They were very helpful in booking my tour to the Great Wall and ticket for the Forbidden City. I had breakfast at the hostel most days and one dinner there. The food was good, plus it was fantastic to get a decent coffee. Having two bottles of water provided each day was handy.